AMAZING – Creamy Chipotle Chicken with Rigatoni Pasta (serves 4-6) | Crappy Kitchen - Good Dinners! This past Friday night I did not know what I was going to make for dinner. However, I did know it had to include chicken fillets and kale as these were the only two real ingredients left in my kitchen. This is where my trusty pantry staples and creativity would have to kick in as I wasn’t really in the mood for boring old chicken breast and kale! This Chipotle-Laced pasta dish was a delicious surprise! I came up with an unlikely combination, and it turned out to be one of those dishes that was an instant hit. I had a couple of chipotle peppers in adobo sauce sitting in the fridge for a couple of weeks and decided they either needed to be thrown away soon or used in this dinner. I opted for the latter and added them to my sauce with some cream (to cut the heat) and it was the perfect combination. 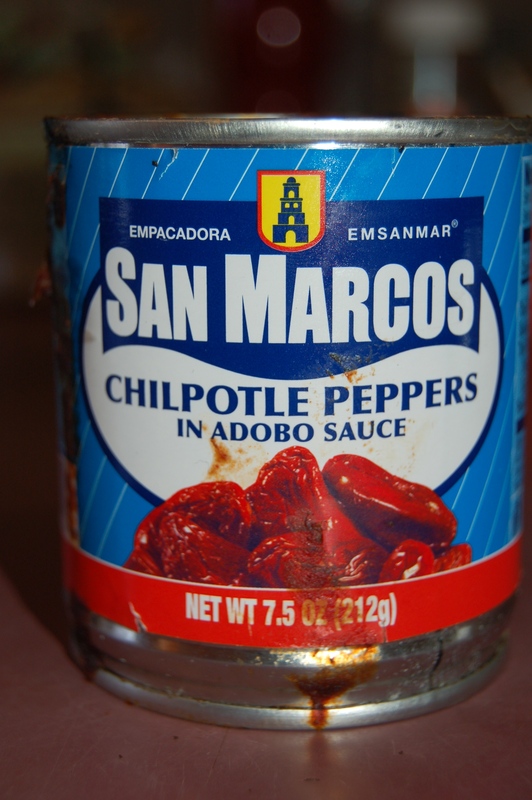 If you don’t know what chipotle pepper in adobo is, you can click here to find out more. 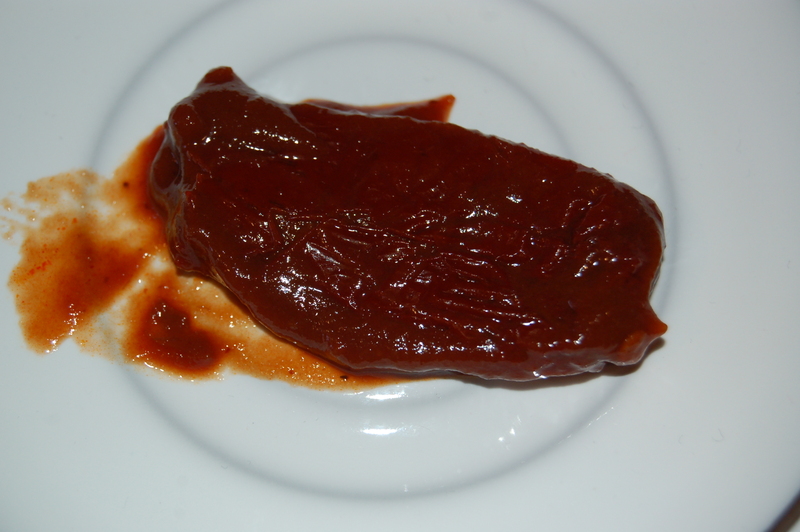 But basically, it is a smoked jalapeno pepper that has been stewed and then left to marinate in the stewing liquid. The sauce is made up of a combo of different spices like other peppers, oregano and cumin with tomatoes, garlic and vinegar. The whole thing is canned and the peppers continue to marinate until they are used. It is hard to use a whole can at one time but they keep forever in the fridge which is why I had them on hand and used them in experimental desperation! 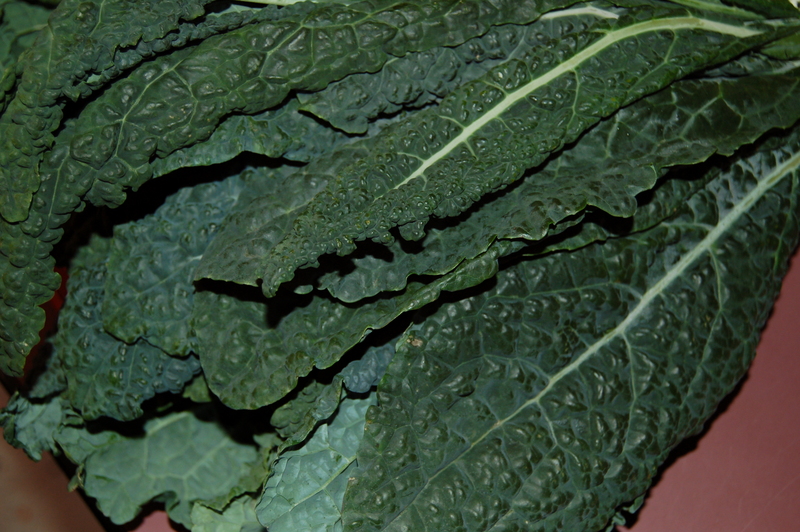 The kale could have been a harsh veggie for this dish, but finely chopping it and cooking it down made it work very well with my big pasta noodles. Everyone knows chicken breast is a bit like tofu; you have to work with it to make it taste good. I think immersing it in this lovely smokey sauce did wonders to improve its flavor. I had no idea it would be this good and when I was told I had better have recorded this recipe, I had to scramble for a piece of paper and write it down before it left my sieve for a head forever. Here it is, and I hope you give it a try! 1 – Put heavy saute pan on high heat and add 2 tbs of olive oil. When it is hot, season the chicken lightly with sea salt and freshly ground pepper. Sear the chicken on both sides until browned. Remove to a plate and set aside. 2 – Turn heat down to medium and add the onions and garlic and saute for about 5 minutes. You may need to add another tbs of oil. Add cilantro and chopped kale and saute for another 5 minutes. Add the chipotle pepper and adobo sauce and mix together. 3 – Add broth and stir and bring to a boil. Add the cream and chicken. When it boils, turn heat off and place lid on pan. Place in the oven for 25 minutes. *Put the water on for the pasta and cook pasta according to instructions. Time the pasta to be cooked when the chicken is cooked and sliced and back in the sauce (step 4). Do not rinse the pasta with cold water. When it is drained it should immediately go into the cooked sauce. Reserve some cooked pasta water in case you need it later in the finished dish. 4 – Remove from oven and slice the chicken. Put chicken back into the sauce and add the drained hot pasta. Stir and adjust seasoning if necessary. You may also want to add more cream of some hot pasta water if you want to loosen the sauce to your liking. Serve in shallow warmed bowls or plates. This entry was posted in dinners and tagged adobo sauce, chicken, chicken breast, chicken dinner, chipotle peppers, chipotle peppers in adobo sauce, creamy chipotle sauce, creamy pasta dish, dinosaur kale, pantry items, pasta chicken, pasta dish, tuscan kale. Bookmark the permalink.